If Roberto Fonseca had ever worried that he might one day be typecast as just another one of Cuba's many world-class Jazz pianists (and make no mistake, Cuba has given birth to an extraordinary number of those), the wonderfully eclectic Fusion project Yo should put those worries to rest once and for all. Born in Havana in 1975, Mr. Fonseca has always had a very wide reach. On the one hand, he has firmly established his credentials as a Jazz artist, and he also backed artists like Ibrahim Ferrer in the past. On the other, he produced Un montón de cosas with the Hip Hop group Obsesión as far back as the year 2000. Yo brings together Cuban music, West African music, dashes of Hip Hop and a ladleful of Jazz in a potent, soulful stew. The opening track, 80s, blends Jazz with the style of dance music popular in much of West Africa in decades past. Bibisa showcases vocalist Fatoumata Diawara (born in Cote d'Ivoire to Malian parents) and kora player Sekou Kouyate, originally from Guinea. Mr. Fonseca trades piano lines with Mr. Kouyate's kora lines in this song. Mi Negra Ave Maria features an English-language poem by Mike Ladd. 7 Rayos has a Yoruba foundation, but with touches of electronica, kora and poetry by Nicolás Guillen. El Soñador Está Cansado features a soulful piano outing by Mr. Fonseca. Chabani is an intense 6/8 that provides one of the emotional high points of the album. Gnawa Stop maintains the energy level and uses a bass line that is a sort of missing link between Reggae bass and its African forebears. El Mayor is a brief retro interlude built around the concept of tuning an imaginary radio. JMF is the moment when electronics come out in full force from the keyboards to the guitar. Fans of Santana might want to dive into this track rather quickly. Así Es La Vida is a slow but soulful ballad that R & B fans would enjoy. Quien Soy Yo is Afro-Cuban in both senses of the term - it could have ended up a danzón but this collaborative composition between Mr. Fonseca and Senegalese vocalist Assane Mboup fuses both cultures. Rachel could fairly be described as Jazz Rock. 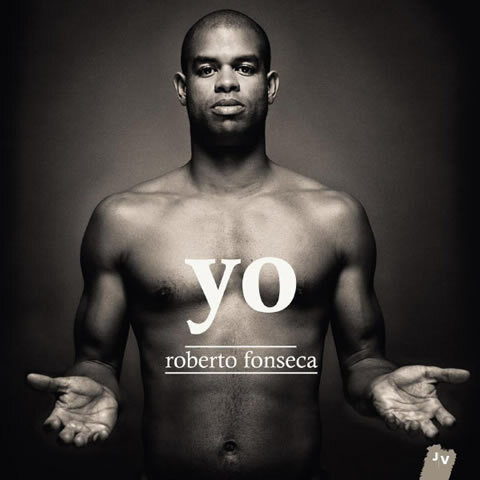 Yo was nominated for Cubadisco 2013 awards in Jazz, Fusion, Design and Recording, and it ultimately did win awards in the Fusion and Recording categories. Although much of the music is intelligent enough that we understand the nomination in Jazz, Fusion actually is a more appropriate category for describing the recording. That being said, it is wonderful fusion, and this recording is highly recommended.